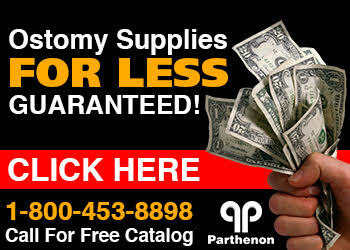 The Parthenon Company Blog - Specialists in Wound and Ostomy Supplies: New Ostomy Pouch Covers Available at Parthenon!! New Ostomy Pouch Covers Available at Parthenon!! New at Parthenon, C&S Ostomy Pouch Covers now available at a discounted price! The opening in all the pouch covers is made to fit the flange opening. The bottom is closed so that when the ostomy bag starts to fill, the clip and bag will not poke through an opening and it will also support the weight of the appliance. The front cover is made with a cotton blend fabric; the back is made of soft white cotton that will help keep the skin under the pouch healthy. All covers are machine washable. C&S Ostomy Pouch Covers are custom designed for all different sizes and brands of ostomy bags including: ConvaTec, Hollister, Coloplast and Nu-Hope. Several colors and fabrics are available to meet the most selective customers!